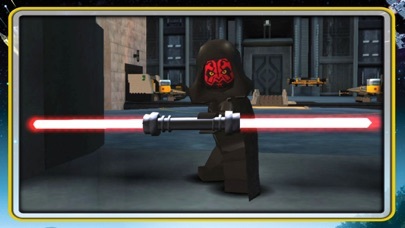 LEGO® Star Wars™: The Complete Saga is available on iOS for the first time! ***Episode I Story Mode is FREE for a limited time. *** **Episodes II – VI and other content available via in-app purchases. 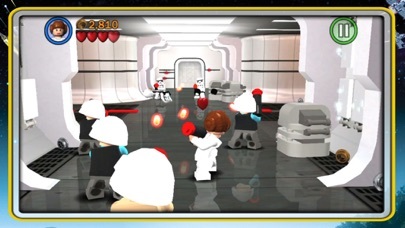 ** Experience the entire collection that combines the original LEGO Star Wars: The Video Game and the sequel LEGO Star Wars II: The Original Trilogy for hours of epic Star Wars content and fun gameplay all from your iOS device! Begin your adventure in Star Wars: Episode I The Phantom Menace and journey through all six episodes in the whimsical style and humor of LEGO. May the bricks be with you! This game is filled with content! You’ll need 1.44gb of available space on your device if you install over wifi, but only 735mb of space if you download on your computer and then sync. As with many large app installations, we advise that you restart your device after installing as this will resolve some stability issues. Also make sure you have installed the most recent firmware. When re-installing the App, please select ‘Restore All Purchases’ from the main menu and allow a few moments to ensure your purchases have become active. This is a high memory usage app. If you have performance issues, try closing down background apps or restarting the device. FEATURES: 36 STORY MODE LEVELS + BONUS CONTENT From the Trade Federation’s “negotiations” with Obi-Wan Kenobi and Qui-Gon Jinn in The Phantom Menace to the space battle above Endor in Return of the Jedi, play the most memorable and exhilarating scenes from your favorite episodes. Also unlock special bonus content featuring Bounty Hunter missions, a special Challenge Mode, Arcade Levels, and more! 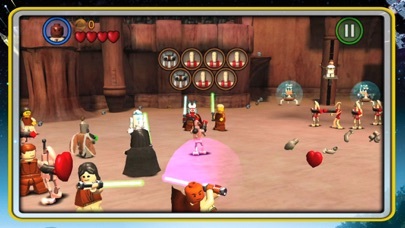 OVER 120 CHARACTERS Play as your favorite Jedi Knight or Sith Lord! 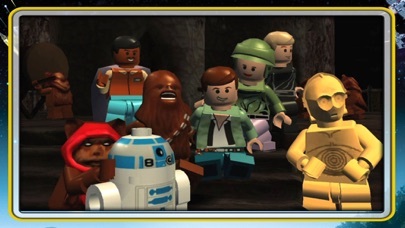 There are over 120 playable characters to unlock, including Luke Skywalker, Darth Vader, Han Solo, and Boba Fett. FORCE POWERS Which side of the Force will you use? Both dark and light side characters have their own unique Force abilities. Will you use a Force Throw to defeat the Jedi or choose your Lightsaber and Force Push to take down the evil Empire? 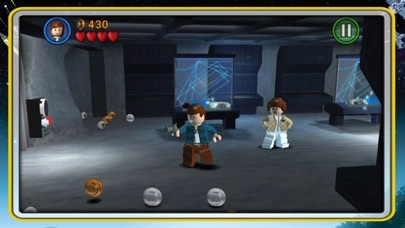 LEGO STYLE GAMEPLAY Smash objects into LEGO bricks and switch characters on the fly as you play through different story levels. Create your own Star Wars character mash-ups like Han Windu and Lando Amidala! DYNAMIC CONTROL STYLES Switch between “Classic” and “Touch Screen” controls to find the play-style that suits you best. If you enjoy LEGO games, be sure to check out LEGO Batman: DC Super Heroes, LEGO The Lord of the Rings, LEGO Harry Potter: Years 1-4 and Years 5-7, and LEGO Friends. Kick Some Brick in I through VI! Great but there’s one thing..
On Episode 1 Chapter 5 , the part where you have to get all 6 characters on red things that turn greeen.. I can’t get Padme it he other guy with the blaster on there. Help? This is incredible. I enjoyed every second of it. My main character is Gonk Droid. I love this game and I remembered I played it when I was a kid and I also played it on PlayStation 3. You can’t go wrong seven bucks; to have he entire LEGO trilogy in your hand. In case anyone is wondering it runs good same as ps2 version. You get literally the entire trilogy one through six. Plus you get bonus missions and arcade mode! I was like what seven dollars count me in. Take my money Lucas arts and devs.